Abstract: Since 2003, the Iraqi state has been stuck in a cycle of failure and repair. Yet, the recent declaration of territorial victory over the so-called Islamic State has ushered in a renewed opportunity to build. Amid the fragile transition, the leadership’s next step is twofold: to implement better governance at the local and federal level and to tackle the entrenched war economy that incentivizes violence and impedes state-building. These are sizeable tasks. This paper argues that in both the political and the economic spheres, a binary characterization of victory and defeat overlooks the fragmentation of power and the actors who benefit from the status quo. In some cases, conflict presents opportunities and empowers individuals and groups that depend upon the continuation of violence and the weakness of the state to maintain their position and their incomes. As such, this paper analyses the political and economic dilemmas of mediation, reconciliation, and state-building in Iraq. Since 2008, Renad has held research and teaching positions focusing on issues of comparative politics and international relations in the Middle East. 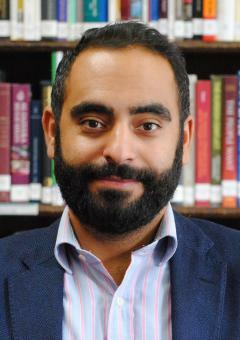 His research at Chatham House explores the situation of Iraq in transition and the dilemmas posed by state-building. Prior to joining Chatham House, Renad was an El-Erian fellow at the Carnegie Middle East Centre, where he examined Iraq, Iran and Kurdish affairs. Renad is also a research fellow at the Cambridge Security Initiative based at Cambridge University and from 2013, he held positions as lecturer of International Studies and supervisor at the faculty of politics, also at Cambridge University. Renad has been a senior research fellow at the Iraq Institute for Strategic Studies in Beirut since 2011 and was adviser to the Kurdistan Regional Government Civil Society Ministry between 2008 and 2010. He received his PhD from Pembroke College, Cambridge.